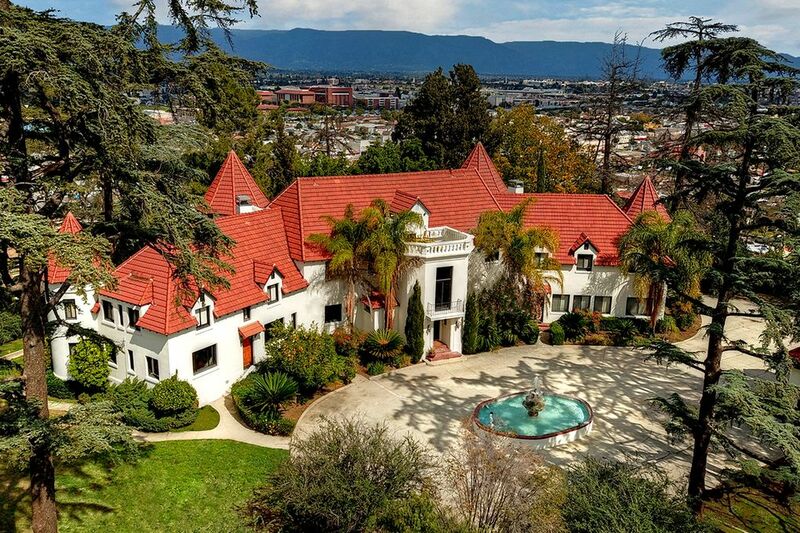 High on an Alhambra, California, hilltop, the French Chateau-style mansion owned by Phil Spector — and where actress Lana Clarkson was slain — is up for sale at $5.5 million. Called the Pyrenees Castle, the eerie estate dates back to 1926, when French immigrant Sylvester Dupuy erected the home to mimic the castles he saw as a child in his native country. 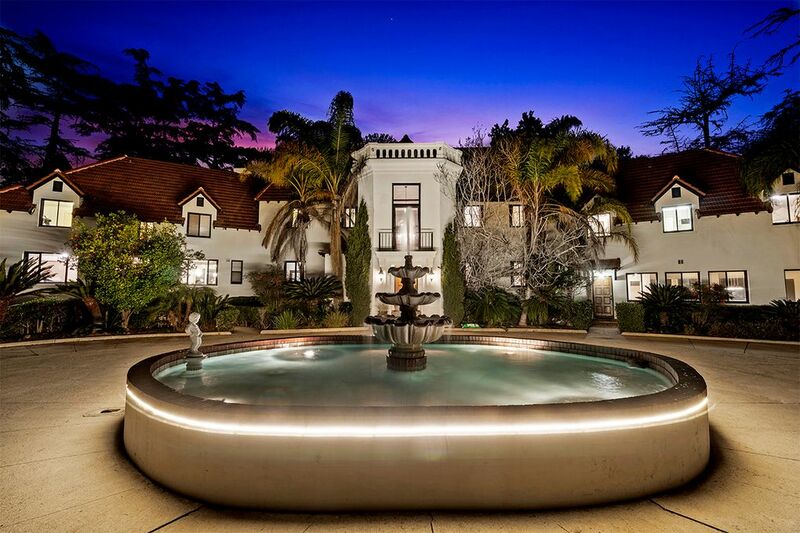 It was divided into apartments in the 1940s before a Chinese investor bought it and remodeled it in the ’80s. Dogged by a history of substance addiction and domestic abuse, Spector was occasionally seen by neighbors winding his way up to the estate in a luxury car. They compared him to a feudal lord among serfs, The Los Angeles Times previously reported. Clarkson was found shot to death in 2003 after a night out in Hollywood. Spector was arrested on suspicion of her murder soon after, and following a mistrial in 2007, he was retried and convicted of second-degree murder two years later. He’s serving a prison sentence of 19 years to life. Crystal chandeliers and hand-painted murals draw the eye throughout the floor plan, which holds nine bedrooms and 10 bathrooms. 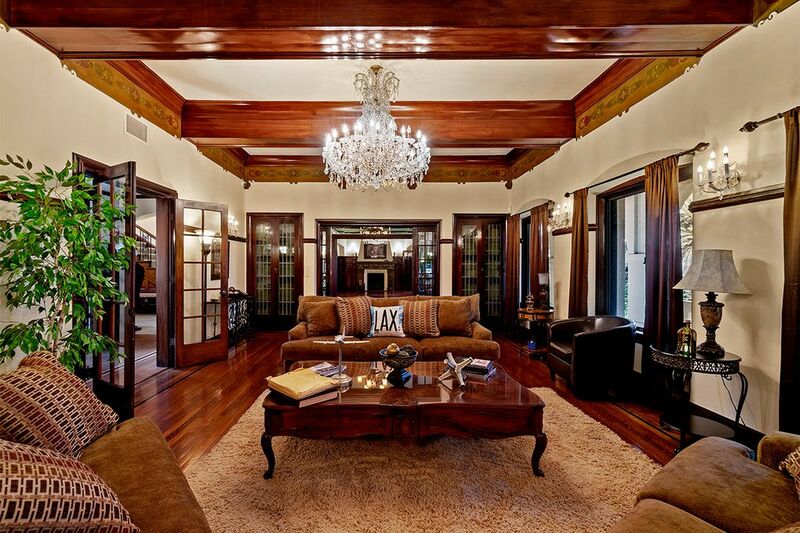 Original hardwood floors line the elegant living spaces. There’s an expansive living room with paneled walls and a fireplace, two kitchens, two offices, a game room, dining room, wet bar and hair salon. 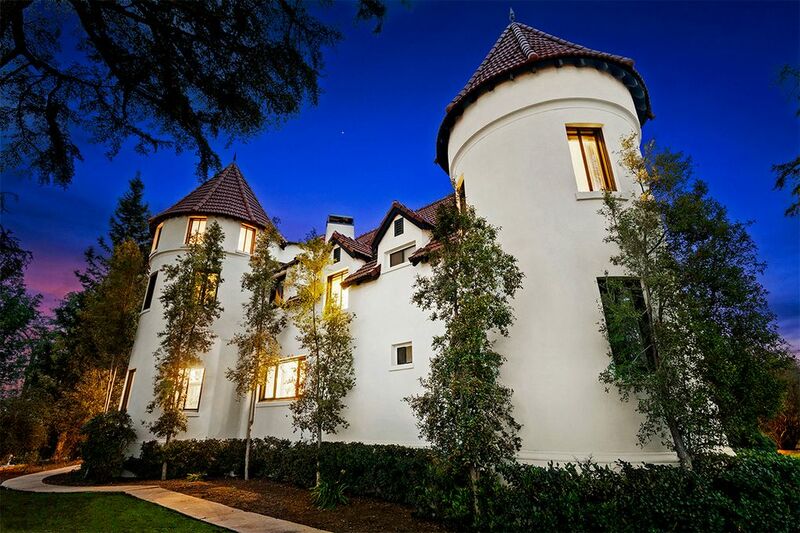 Outside, turrets give the exterior its castle-like vibe, and a top-level terrace takes in city light views. 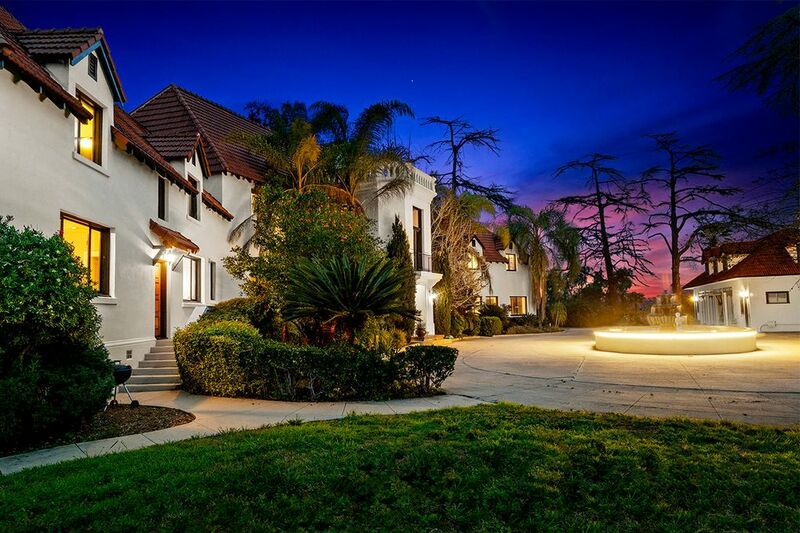 A fountain and four garages round out the grounds.